Start your little chef off early! 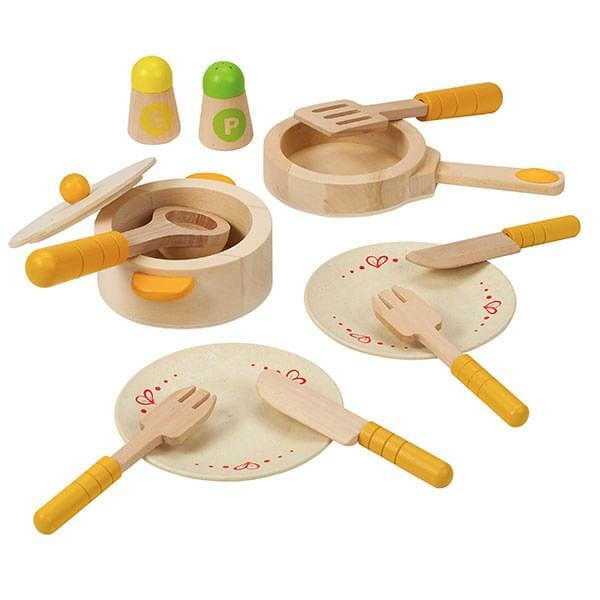 With this gourmet starter set, including wooden, kid-safe forks, knives, plates, and more, allow your child to play house and cook up a gourmet imaginative meal. With the toddler sized accessories, your child will gain creative new skills as well as exercising their imagination! 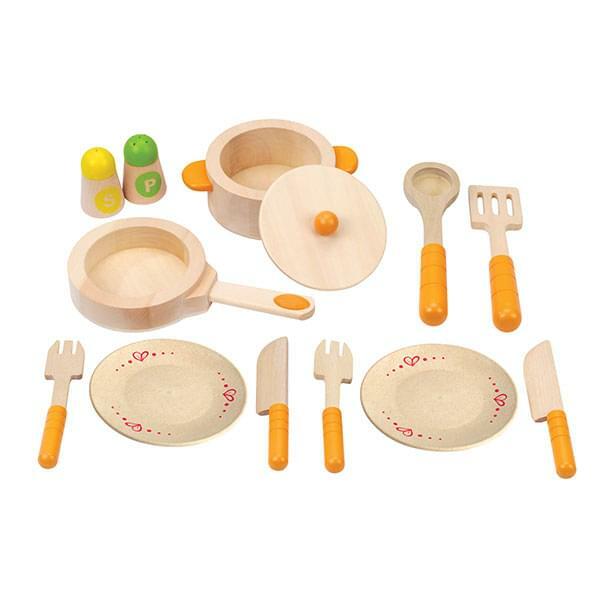 If You Liked Hape Gourmet Kitchen Starter Set, See More Related Products Below!